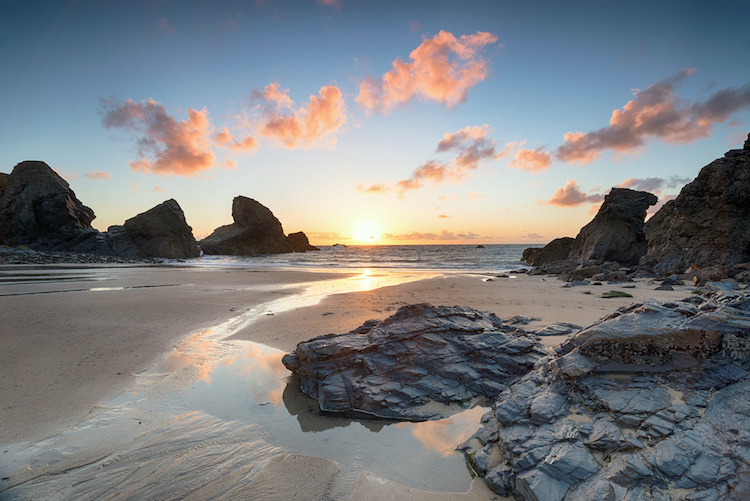 Porthcothan Bay is a picturesque Cornish cove amid rugged cliffs and rolling countryside. This small village offers have a number holiday cottages and holiday homes for visitors to enjoy this stunning location. 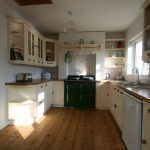 See our collection of Porthcothan cottages. 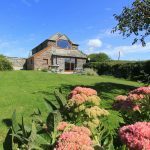 Browse our collection of Porthcothan cottages and plan your stay in this sensational seaside setting. 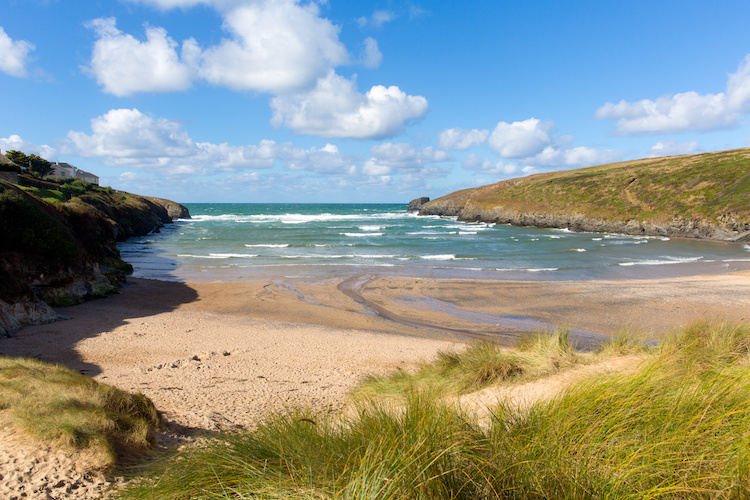 Porthcothan Bay is one of the gems of the North Cornwall coast. Located part way between the holiday towns of Newquay and Padstow, this tiny seaside village has plenty of dramatic scenery to impress holidaymakers. If you’re looking for peace and quiet for a holiday, Porthcothan is a good choice. Apart from hanging out on the beach and enjoying the sea, there’s very little to do in Porthcothan. And here lies its charm. 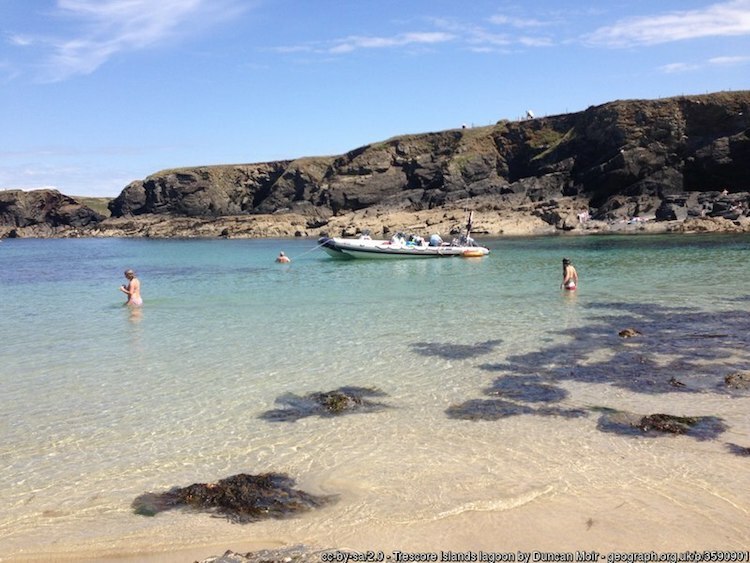 It’s an idyllic place to get away from your everyday life and enjoy a distinctly Cornish escape. Porthcothan Bay is a long, narrow cove backed by sand dunes. Cliff-top homes and holiday cottages line one side of the bay, while the other side has been left to nature. There are a number of shallow rockpools where children can play or learn to swim, plus plenty of caves and rocky outcrops to explore. During the summer months, lifeguards patrol the beach so it’s a safe place for getting in the sea. Surfers will like the rolling waves, while swimmers, kayakers and stand up paddle boarders will enjoy the protected pool lagoon of Trescore Island. There’s an excellent shop on the beach which serves coffee, sandwiches, pasties and local ice creams. The village pub, the Tredrea Inn, serves good food and fine ales. Nearby Berryfield Farm is a superb place to sample a Cornish cream tea, complete with local clotted cream and home-made strawberry jam. 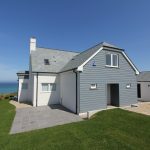 There are some lovely holiday cottages in Porthcothan Bay, where you can base yourselves for a week or two’s holiday in this unspoilt corner of Cornwall. If you want time away from beach, the towns of Newquay and Padstow are only a short drive away. For families with kids to entertain, there’s the excellent Old Macdonald’s Farm just up the road, as well as the Camel Creek Adventure Park just ten minutes by car.